Marching On is the story of the restoration of Richmond Barracks, a Dublin City Council Community Partnership project for the 1916 centenary. 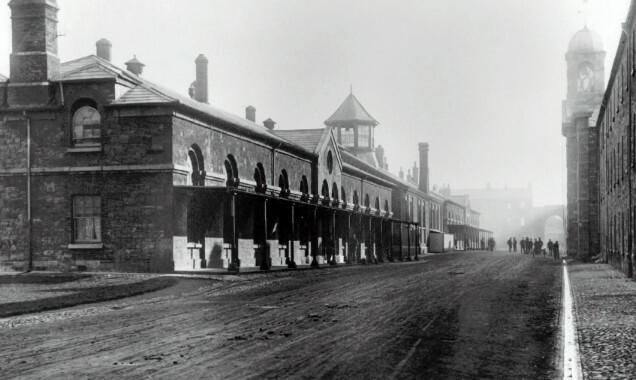 Marching On follows this project that commemorates the heritage of Richmond Barracks as the lost chapter of our history, with its forgotten stories of soldiers, prisoners and families that lived within and around the barracks. Marching On traces the many stages of Richmond Barracks from military barracks, to a Christian Brothers School, from Keoghs Square and St Michael’s Estate. This is the story of the people living in the community of St Michael’s Estate who have fought for decades to rebuild their neighbourhood from a deteriorating place to a place of pride. Marching On is a Curious Broadcast production, funded by the Broadcasting Authority of Ireland, with the Television License Fee.